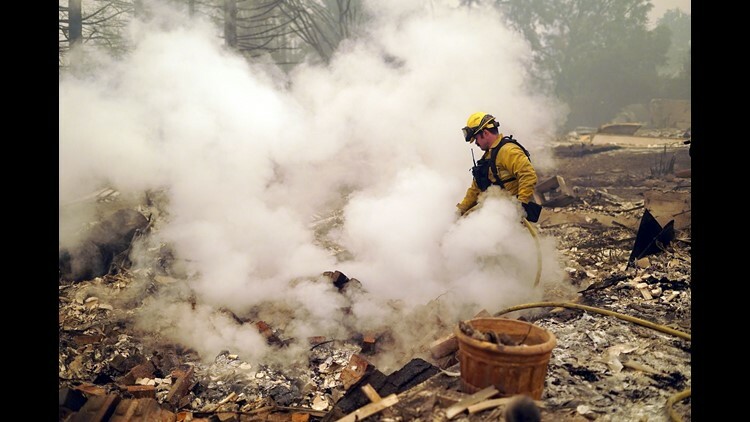 SAN FRANCISCO – One might think President Donald Trump's latest slap at California – threatening to withhold federal funds because of alleged forest mismanagement – would have generated an avalanche of retorts from emboldened Democrats whose constituents are reeling from historic fires. But a review of media and social media accounts belonging to the state's two Democratic senators, Dianne Feinstein and Kamala Harris, and 53 congressmen and women (currently 39 Democrats and 14 Republicans), show that so far just a fraction of state leaders seized the opportunity to challenge the president. On Saturday, as fires were continuing to claim lives across northern and southern California, Trump tweeted there was "no reason" for such fires other than "poor" management of forests. "Remedy now, or no more Fed payments!" he wrote. Current Gov. Jerry Brown and Gov.-elect Gavin Newsom both condemned Trump's remarks while continuing to press for a major disaster declaration from the White House. 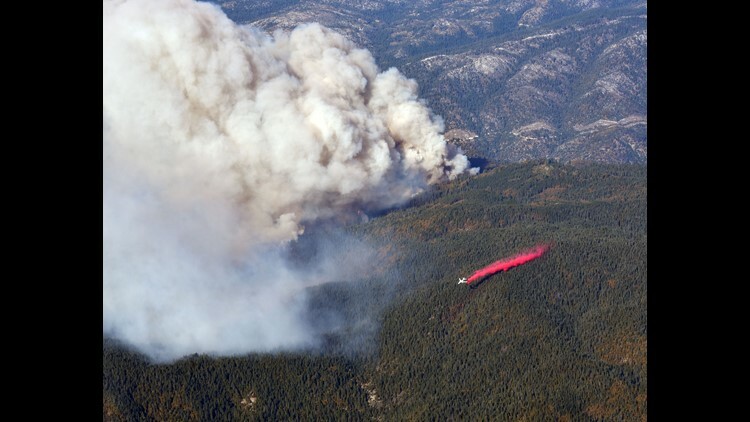 An air tanker drops retardant on the Camp Fire near Paradise, Calif. on Nov. 11, 2018. Newsom tweeted: "Lives have been lost. Entire towns have been burned to the ground. Cars abandoned on the side of the road. People are being forced to flee their homes. This is not a time for partisanship. This is a time for coordinating relief and response and lifting those in need up." The Woolsey Fire outside of Los Angeles and Camp Fire north of Sacramento were still only partly contained by Monday afternoon and to date have claimed more than 40 lives and burned more than 6,000 structures and over 100,000 acres. Trump's threats to withhold federal funding are not new. Last summer, Trump wrote a tweet surmising that California firefighters weren't getting access to water to fight fires because of environmental laws. 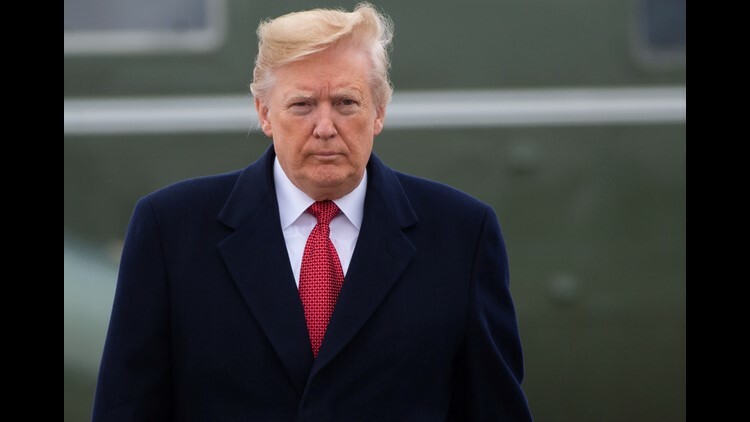 President Donald Trump arrives to board Air Force One at Joint Base Andrews in Maryland, Nov. 9, 2018, as they travel to Paris. And last month, Trump held a meeting in which he blamed California's fire issues on alleged forest mismanagement issues. "It’s a disgraceful thing," he said. "Old trees are sitting there, rotting and dry. And instead of cleaning it up, they don’t touch them. I think California ought to get their act together and clean up their forests and manage their forests." A review of all 55 Twitter accounts belonging to California senators and U.S. House members showed no one defending the president's tweet. One California Republican, Rep. Doug LaMalfa, was openly critical of Trump's comments. "Lack of forest management has been a longtime frustration, but threats about funding when we need help isn't going to address our dire needs or speed the process," LaMalfa, a Trump supporter, said in a statement. 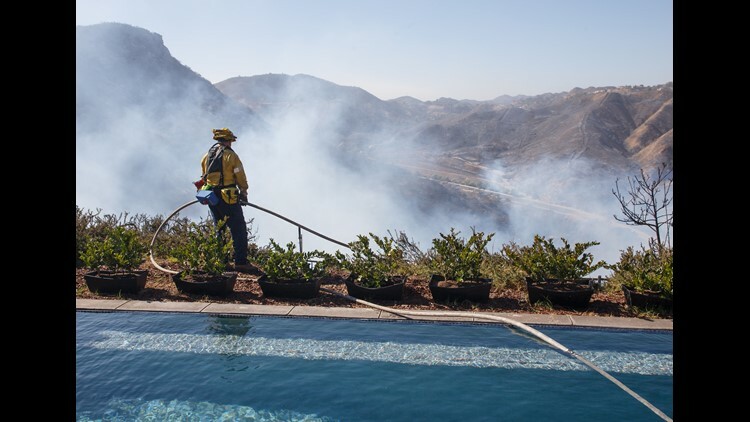 A firefighter looks out from the swimming pool in the backyard of a saved home after extinguishing a flare-up of the Woolsey Fire in West Hills, California. Among the more blistering responses came from a handful of Democrats who expressed outrage at the timing and content of the president's tweet. "Dear @realDonaldTrump: What is wrong with you?" tweeted Rep. Ted Lieu, D-Calif. "Disaster victims deserve help & sympathy. Oh, and guess who owns much of the forest land in CA? Your federal agencies. CA only owns 2%. Guess who cut funding to forest management in the budget? YOU DID." Rep. Eric Swalwell, D-Calif., tweeted back at the president: "You fund forest management. But not for much longer. Change is coming to America." Not to mention California, where three Republican congressmen lost their seats to Democratic challengers on Nov. 6. Other Golden State pols taking issue with Trump's comments were Rep. Brad Sherman, who called the president's threatening tweet "abhorrent and an abdication of leadership in a time of crisis. Congress will not allow #Trump to shortchange #CalforniaFire relief." Rep. Norma Torres, D-Calif., simply called the tweet a "statement unbecoming of @POTUS & certainly not the #BeBest message to a community in pain @FLOTUS," a reference to first lady Melania Trump's anti-bullying campaign. "@realDonaldTrump, Americans have died and THIS is what you have to say?" tweeted Rep. Jackie Speier, D-Calif., adding that the focus instead should be on tackling climate change issues "before it gets much worse." Rep. Adam Schiff, D-Calif., a steadfast critic of the president, said on an appearance of NBC's "Meet the Press" Sunday that the substance and timing of Trump's tweet "just goes to show how little he understands the job he has," adding that Trump is "only the president, I think in his view, of those who voted for him." 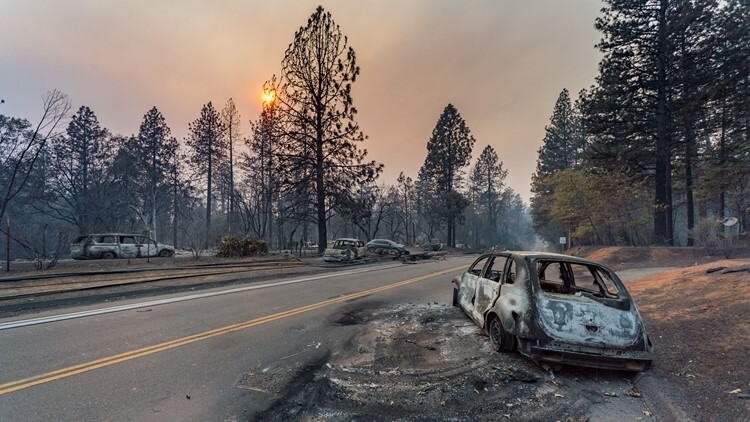 The Camp Fire swept through Paradise, Calif, destroying more than 6,500 structures. There was a notable lack of response from frequent challengers of Trump, including both California senators, as well as Trump foe Rep. Maxine Waters, D-Calif. The president did not appear swayed by the criticism his initial comment generated. He doubled down on his view Sunday, tweeting: "With proper Forest Management, we can stop the devastation constantly going on in California. Get Smart!"